Unrecorded Live performance: recording date unsure but between 12 and 25 april 1935. 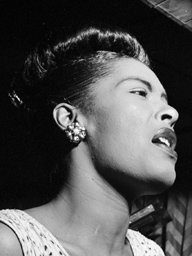 Billie Holiday performed on this occasion as 'Billie Halliday'. 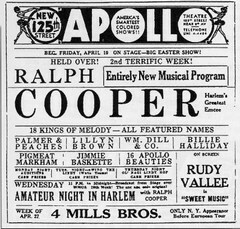 The 'Amateur Hour' was broadcasted by WMCA on 24 april 1935. 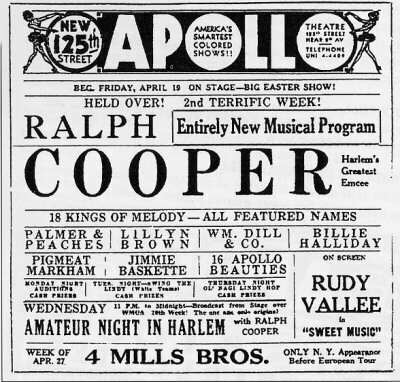 Poster of her concert in Apollo Theatre, NYC, as featured vocalist with Ralph Coopers Big Band (april 12, 1935). 2 If the moon turns green UN - - ? 3 Them there eyes UN - - ?